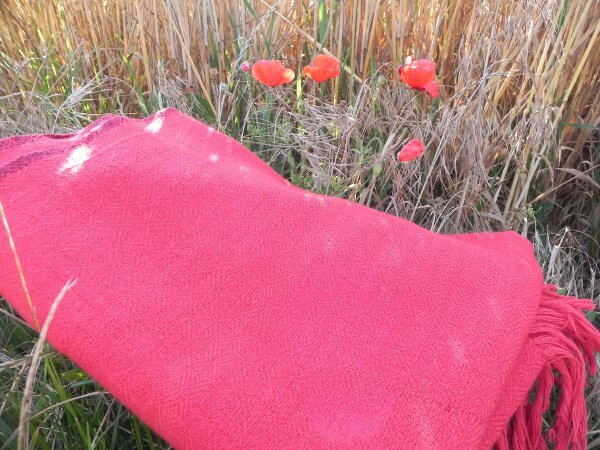 Red Brazilwood 100% fine wool wool stole, an attractive and vibrant stole that looks and feels warm and luxurious. Hand spun and hand woven with naturally dyed yarns. Each item is hand woven to create stoles unique in tone, texture and colour - hand crafted from start to finish. 'Himalayan Weavers' produce textiles of beauty, character and quality, and are working to improve standards of health care and education in these rural communities.